Even if you have never heard about Jeremy Soule, you have probably heard his captivating talent. Skyrim, Guild Wars 2 and World of Warcraft: Mists of Pandaria are just some of his most recent works, but he’s left his mark on our most beloved games since 1994. Now Jeremy has taken to Kickstarter to raise funds to create his Soule Symphony No. 1, “The Northerner”. Spoiler: He’s already 50% over his target at the time of writing. I’m not alone in saying I’m a huge fan of Jeremy Soule, first hearing his work when playing Giants: Citizen of Kabuto back in 2000. He’s one of the few composers I can say that I’ve truly grown up with, all the way up to today. Yesterday (just in time for my 21st birthday), Soule announced his first foray into creating his own symphony. 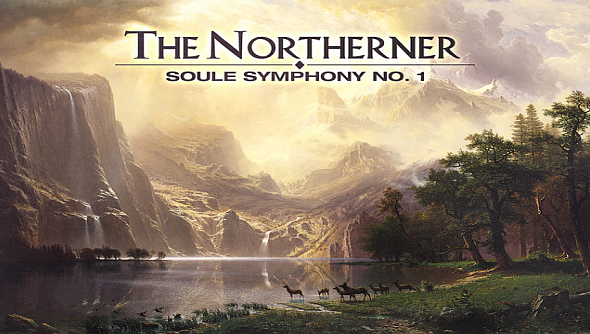 For the Soule Symphony No .1, “The Northerner”, Soule is seeking a modest $10,000. Less than one day into the kickstarter and he has already smashed his target, with over $15,000 pledged. Backers can expect an autographed CD of the finished product, with big backers receiving credit in the album liner and even copies of the conductor’s manuscript.